As you'll see from the picture above I didn't get loads of stuff in Sephora, quite frankly I think I deserve a pat on the back for my restraint, but I got everything I had planned to buy, plus an indulgence or two! 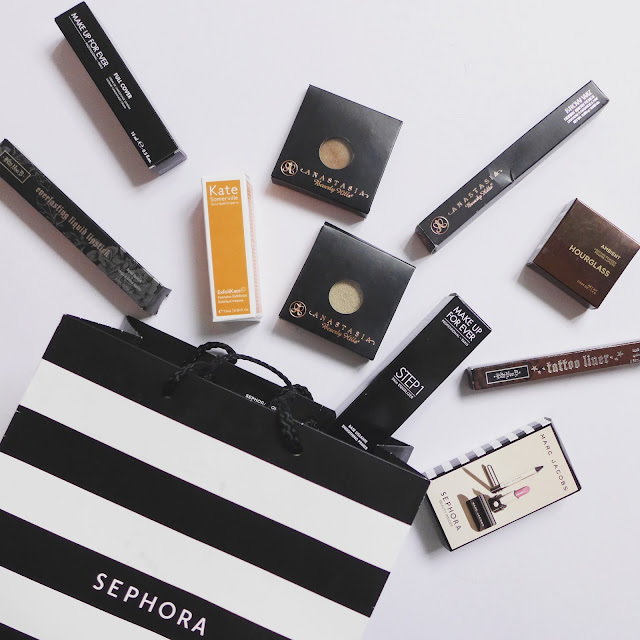 I will also say that I probably went to about three or four different Sephora's to find everything, slight overkill, I know, because not all stores carry all brands. -Sephora on Broadway & Prince St, Soho had a huge Make Up For Ever boutique with mirrors and MUA's and everything. -Sephora on 34th Street (between 6th & 7th Av) is two floors and upstairs is all skincare! 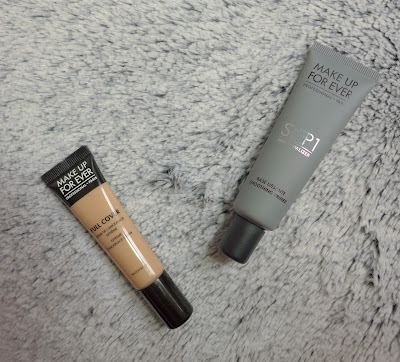 Make Up For Ever Full Cover Concealer ($34) in 3 Light Beige, has been a love of mine for a few years now. This is my third tube of the stuff and each tube lasts me around a year. The shade matches me perfectly, and it is so pigmented, it covers spots and acne scars like nothing else! 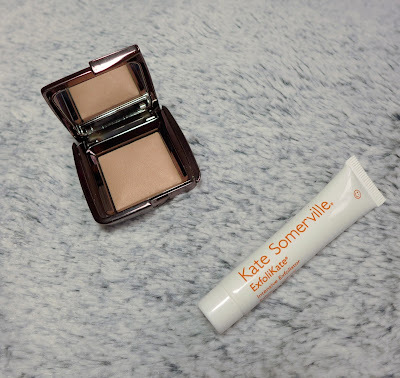 The Makeup Forever Step One Skin Equalizer ($37) has been on my list for a while now, as I love how silky silicone-based primers make my skin feel, and it makes makeup apply so smoothly on top. So Anastasia Beverly Hills rarely does any wrong in my eyes, especially in the eyebrow department. I already have the Dipbrow Pomade, which is great for a bold look, so I picked up the Anastasia Beverly Hills Brow Wiz ($21) in Taupe which gives my brows a really soft definition, so yaaaaay. I've heard mixed reviews about the ABH Eye Shadow Singles ($12) depending on the finish. I got Topaz which is a Satin finish, a beautiful, buttery copper with a gorgeous sheen to it; and Metal which is Titanium finish, so a glittery silver-gold which is stunning when applied wet. Kat Von D Tattoo Liner ($19) in Mad Max Brown - Being an eyeliner addict, (seriously can't go a day without it), when I saw that Kat Von D, the QUEEN of the Cat Eye had brought out a liquid liner, I knew it had to be mine. It looks like a felt tip, which I'm not usually keen on, but it's actually a brush! Plus it's the fastest and most precise applicator ever and there's no smudging. Three cheers for Kat! I also impulse-bought an Everlasting Liquid Lipstick ($20) in Bow and Arrow, since you can't get them at all in the UK, and because Nikkie Tutorials goes on and on about it. So I gave in. It's one of the more drying liquid lipstick formulas out there but it is gorgeous. So I'm gonna let my lips suffer for this one..
Ok so EVERYBODY has been raving so much about the Hourglass Ambient Lighting Powders, but I've never been in close enough proximity to a Space NK to be sucked in by the magic. Until I was in the checkout queue at Sephora and I saw this cute mini compact for $22, in the colour Dim Light. It's a very subtle glow, something I would use more like a finishing powder to give my entire face a bit of radiance! 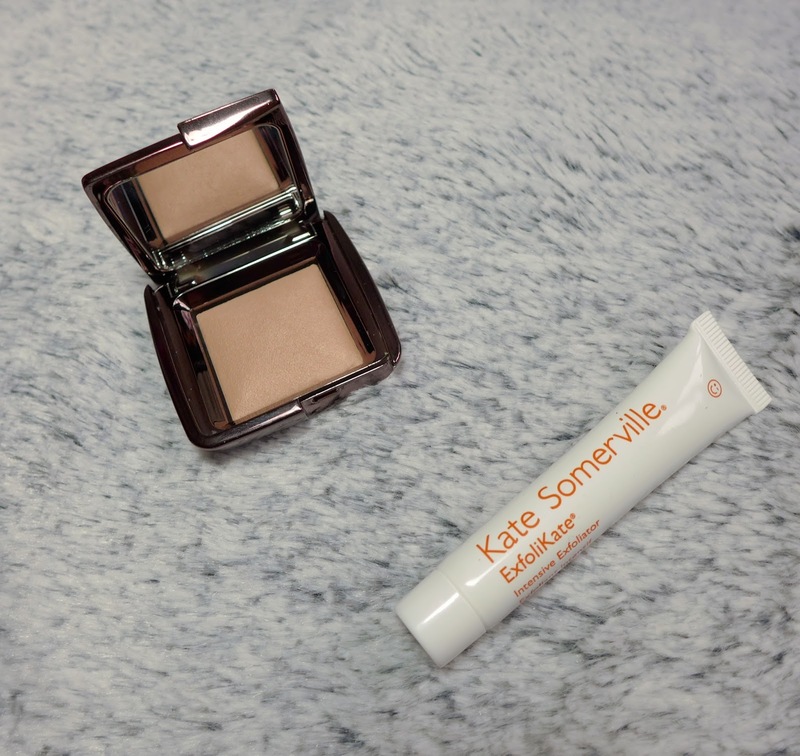 The Kate Somerville Exfolikate was a Beauty Insider sample which I chose at the check out, by "cashing in" 100 points! I think it's a great way to try new products. Finally this adorable little Marc Jacobs beauty set was my Sephora Birthday Gift, (cause I bought something during my birthday month. You can place an order online to claim your one of these too if it's your bday!) I love that Sephora does this cause who doesn't like a freebie every now and then? 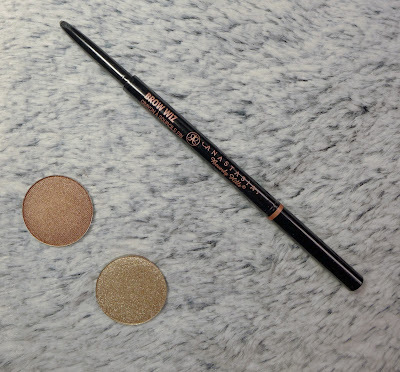 The eyeliner is a really soft Kohl and it stays on my waterline really well. 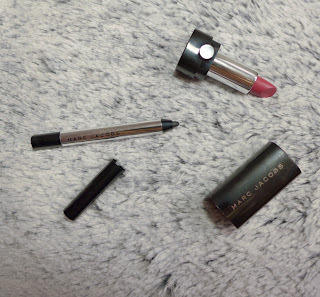 I'm yet to try out the lipstick because, well it's just too darn cute to touch! Those of you that do follow me on Instagram (hint hint) may have seen that I placed a rather large Colourpop order to my hotel. I'm slowly trying everything out - very impressed so far - and am planning on doing a blog post on my Colourpop haul and my first impressions of the products too, as I did get QUITE a few things. 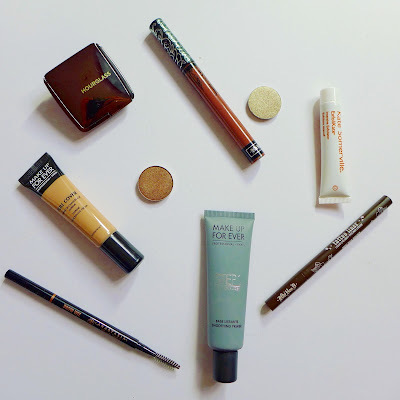 UK readers I apologise in advance for taunting you with products that aren't shipped here. Honestly Colourpop, you really should sort that out. So anyway, that is everything I got from Sephora. Like I said, it's not a crazy haul, but then I have been buying an awful lot of Makeup recently! Have you got a Sephora lust list? I'd love to know whats on it! Ah ma gahd I need to get myself an Hourglass Ambient Lighting Powder! I swear even my mum has one but I'm still yet to try it. I'd love to know whether or not it lives up to the hype! It's a MUST to pop into Sephora isnt it?? I'm totally jealous of everything you bought - Ive been debating a browwiz pencil for a softer look over the dip brow! Ah it's such a beautiful shop isn't it! It's probably a good thing we don't have them here haha! Aw thanks, and I would totally recommend the brow wiz, it's so nice to use and has a really cute little spoolie on the other side too!